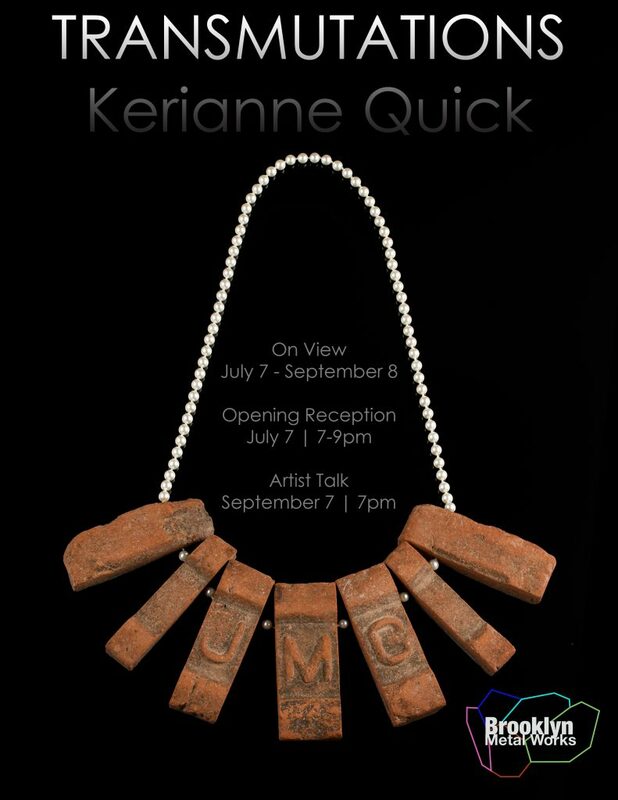 Please join us for the opening reception of Transmutations by Kerianne Quick July 7 from 7 – 9 pm. 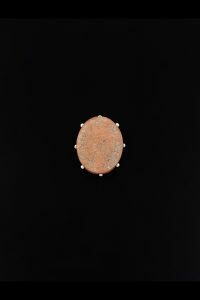 Featuring jewelry pieces and objects comprised of brick and pearls this exhibition builds relationships between materials and their sources to tell a story of New York’s past. These works investigate a complex network of historical, economic, and geopolitical forces that bring an object into existence. When the Dutch VOC / WIC sailed up the Hudson River to trade with the colonists and native tribes of New Netherlands the ships often carried a ballast of brick. Those that were usable were traded, those that were not – were dumped on the riverbanks. Fast-forward two and a half centuries – the clay deposits of the Mid-Hudson Valley were dug and fired into the bricks that built much of Manhattan as we know it. The evidence of these now defunct brickyards dot the banks of the Hudson River from New Jersey to Albany – piles of bricks, industrial castoffs – native clay fired – but unsuitable for construction. These bricks, foraged out of the Hudson River, are a connection – to the post-industrial landscape and regional histories; but also a way to explore inheritance and transformation. The bricks used in the series Transmutations – dating from the early to mid 20th century – were foraged out of the river at Kingston Point and along the Rondout Creek. They were hand-cut and carved, and combined with heirloom pearls, shell, silk, silver, and gold. 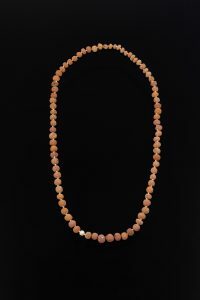 Through stringing and pearl-knotting techniques, the work draws from both the adornment ideals of the Dutch Golden Age and the ceremonial adornment of the native Lenape Tribes of the Hudson River Valley. Like the act of colonization – Transmutations, mashes together disparate cultures using native materials. Each piece references an uncomfortable combination of European and Native American adornments to create something unique to the Mid-Hudson River Valley. Through her creative practice, Kerianne Quick aims to tell hidden stories through objects – by considering source, conveyance, and material specificity. Her research is rooted in exploring craft and materiality as cultural phenomena with an emphasis on jewelry and personal adornment. Kerianne has produced several bodies of material specific work considering subject matters that range from communal sheep farming practices in the Orkney Isles to the derelict brickyards of New York’s Hudson Valley. She is currently researching contemporary forms of portable wealth. 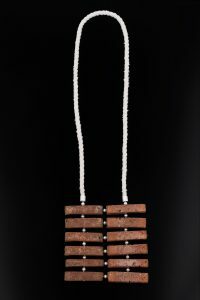 Kerianne Quick is the Assistant Professor of Jewelry and Metalwork at San Diego State University. Current projects include Craft Desert, a handmade zine exploring the craft landscape co-produced with Adam John Manley. Kerianne Quick’s work is exhibited widely, most recently at LA FRONTERA: Encounters Along the Border, Museum of Arts & Design, New York, NY; Heavy Metal – Women to Watch 2018, National Museum of Women In The Arts, Washington D.C.; and The Language of Things, Dowse Art Museum, Wellington, New Zealand. Transmutations by Kerianne Quick opens July 7, on view through September 8. Opening reception with the artist July 7 from 7-9pm. Artist talk In the Gallery September 7 at 7pm.